Recently I was fortunate to spend a couple of days checking out the beer scene in Los Angeles, California. Although it’s one of the largest cities in North America, the beer scene does not have a long history compared to other beer spots around the continent. But that’s changing quickly, with the emergence and rise of numerous new craft brewers in L.A. making waves with delicious and interesting beers. While I was in there, I recorded a podcast with Aaron Champion, a former Toronto resident who moved to L.A. a few years ago, launched the excellent craft beer website Cask Ale LA and has been helping Cask Days coordinate some of the American beers available at the festival. On the podcast we chat about Aaron’s move to L.A., the local beer scene and some of the great spots and great beers to check out, and a little bit of the Ontario beer scene and Bar Towel Forum reminiscing. Plus, he gives us some inside information about what to expect from California at this year’s Cask Days. 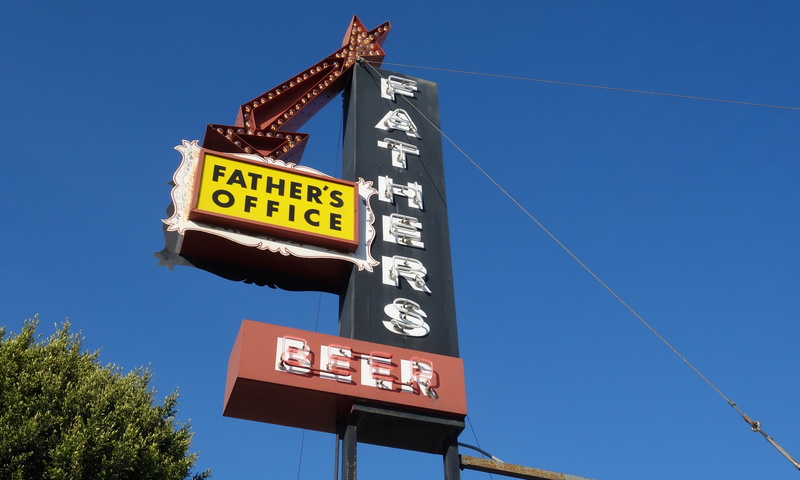 This episode was recorded live at the awesome bar Father’s Office, at the 1018 Montana Avenue location in Santa Monica. To find out the latest that’s on tap at FO, text ‘Beer’ to 424-234-2337. Also, have the burger.